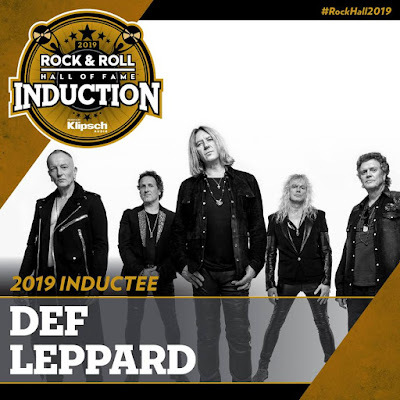 Def Leppard and Stevie Nicks are among the acts featured in a video trailer previewing HBO’s broadcast of the 2019 Rock And Roll Hall of Fame induction later this month. The UK rockers closed out the evening with a performance of the Mott The Hoople classic “All The Young Dudes” – written by David Bowie – during an all-star jam that included May, Hunter, Hoffs, Van Zandt, and Colin Blunstone and Rod Argent of The Zombies. Def Leppard will begin their 2019 live schedule at the Sweden Rock Festival on June 6 as part of a summer tour of Europe.